If you want to look good in leather, you're getting hotter. You're just a click away from making this cycle jacket yours. It's made with antiqued leather that has a slightly beat up look and raised, faded seams to reflect a laid back style. 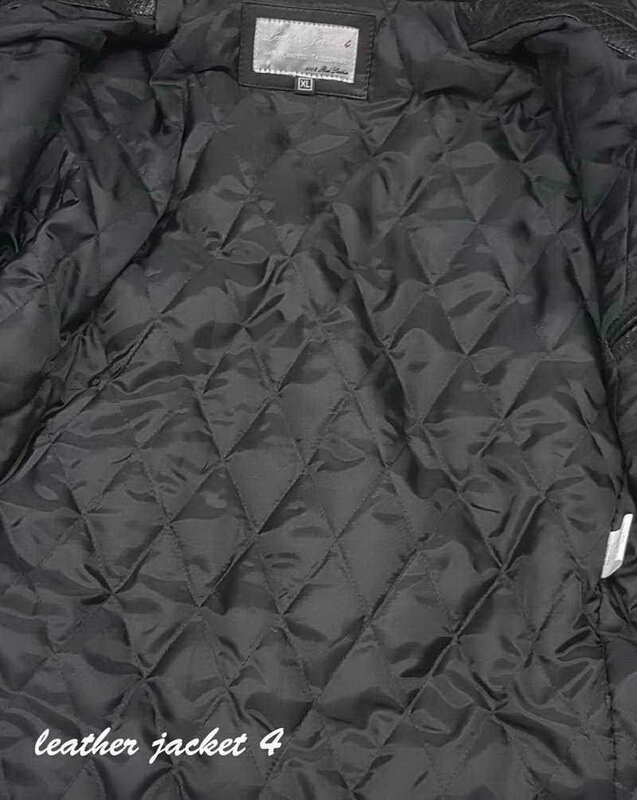 Highlighted with cozy quilting on the shoulders and sleeves, it shows you care about the fine points. 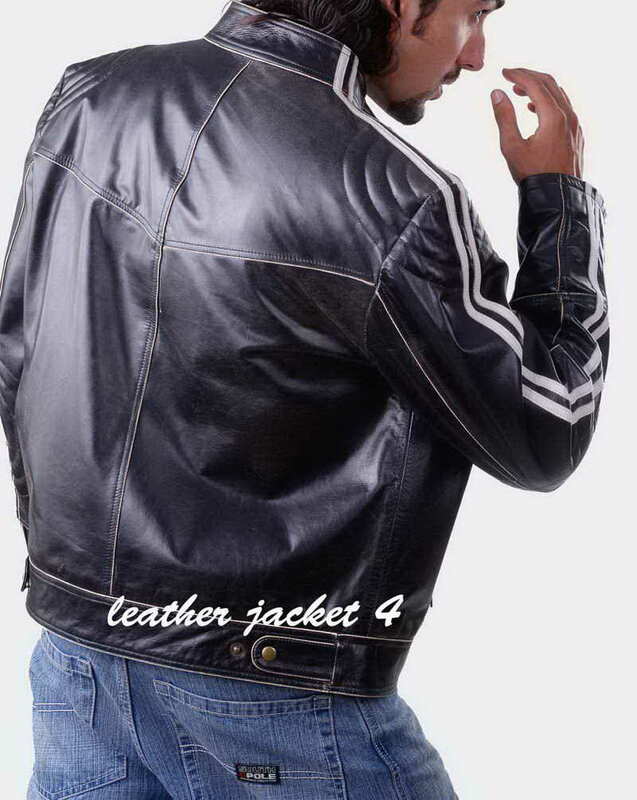 Step up your casual wear with this varsity style leather bomber jacket from LeatherJacket4. 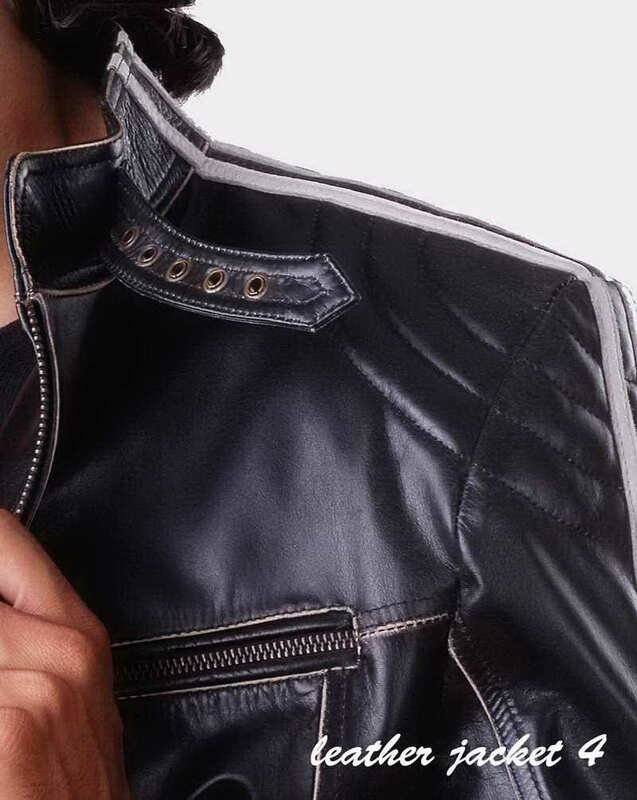 Effortlessly cool, it boasts striped sleeve lines, a popper through front and practical zip pockets.